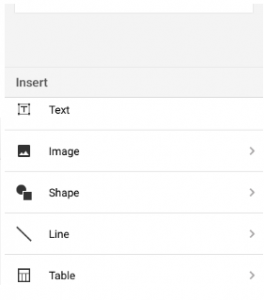 Google Slides is a tool for creating slideshows that is used everywhere and is becoming more popular. Although it’s an efficient and easy app to make slideshows, you have to know how to use all the features in the best way. 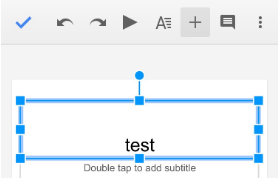 One of the many things you should know about Slides is how to change the text. There are various fonts, sizes, text colors, and highlight colors you can select from. 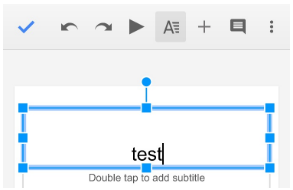 Additionally you can bold, italicize, underline, or strikethrough text. 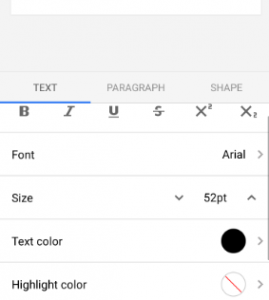 When you click on the text and then the A with four lines next to it at the top of your screen, all of these options will replace the keyboard of your mobile device and be under the “Text” section so you can easily set each feature. Another thing you can do is arrange where you want the text to appear on the slide and make the line spacing a certain number. You can also choose to put bullet points or numbers. Similarly, this is done by clicking the A with four lines and it’s under the “Paragraph” section. 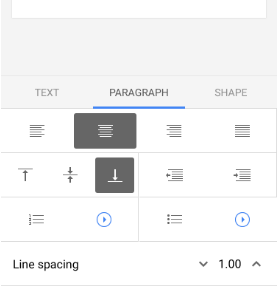 Aside from the text, there are many things you can insert to enhance your slide, such as texts, images, shapes, lines, tables, links, and comments. If you want to add any of those to your slideshow, simply click on the + sign which is located at the top of the screen. To add color and style to the slide, change the layout, theme, and background color/design/image. One more feature that is easily accessible is to share and export your work, which you can do by clicking the three dots in the top right corner. Everything is on a menu on the top above your slide so it’s all in one spot to make it easier for the user (mobile app). 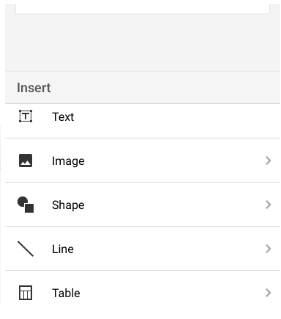 Knowing more about Google Slides will ensure you are making the slideshow that you want. LearningComputer.com provides FREE computer training on products like Microsoft Windows, Microsoft Office, Microsoft Word 2013, Microsoft Excel 2013, Mozilla Firefox, Microsoft Powerpoint, Microsoft Access, Visual Basic, Internet Explorer, Java, SQL Server 2012, eBay, Windows XP and many more topics on IT training and computer learning. What is Google Drive and why do I care?